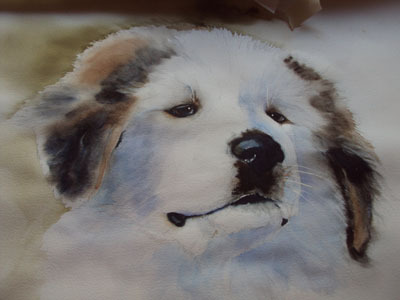 This is the original watercolor painting completed on the DVD "Watercolor Secrets: Realistic Pets." It is also the original to the Limited Edition Print "Ami." App. 20" x 26", painted on Arches 140 weight watercolor paper.